How I turned $1,000 into five million in real estate in my spare time is one of the most read and most popular yet so hard to find books in the niche of real estate investing. William Nickerson’s book is the perfect example of a wealth building guide that tells you everything like it is, with the potential to take an average Joe from nothing to millions using a basic hybrid investment strategy. This strategy uses the buy low, rent and trade up approach to enable an investor climb from nothing to owning property and onto bigger properties each time. From the title, you should know that the book is more of a real-life success story of the author, told in an easy to understand and straightforward style. According to most readers, the ideas in this book line up with most others by established writers and accomplished real estate traders including Spencer Strauss’ ‘The Unofficial Guide to Real Estate Investing’, ‘Landlording on AutoPilot’ by Mike Butler and ‘The Millionaire Real Estate Investor’ by Gary Keller & Dave Jenks. William Nickerson, the author of our book, is an established investor who made himself a millionaire just as real estate was emerging as a potentially profitable venture. He died at his home in California aged 91. The author is probably better known for his Congregationalist and religious beliefs, especially since he gave back almost all his estates to pay student scholarships and to professors and religious schools. 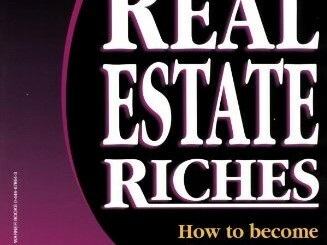 Although his book on making millions from real estate in your spare time was written in the 60s and 70s, it made who are billionaires in the real estate industry today as it was the best guide then to get practical advice, relatable and relevant examples, real-life illustrations and the bitter truth that the road to riches is paved with borrowed money. Most serious aspiring and current real estate investors would advise you to read books from real estate entrepreneurs who made it big in the past 3 to 5 decades because then, the investment arena was full of uncertainties, communication in the society was unreliable and clumsy and the economy was not as great as it is today, but these gurus made it happen anyway. Today’s promoters are mostly 90% pitchmen and only 10% real investors, but legends like William Nickerson are the real deal. This is one of the most important reasons to carefully choose the books you read, especially if you are just starting out in real estate investment. 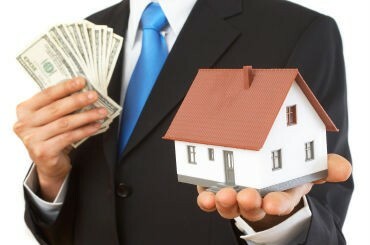 If you are An ordinary wage earner who relies on a weekly or monthly salary to put food on the table, a book like this could make your real estate property ownership a reality as it has done for thousands of investors before you, and best of all, you can learn to balance your busy schedule with investing in real estate during your spare time. William Nickerson was an admired and respected self-made millionaire, but although there are many others, he was among the very few who bothered to share their methods, secrets and tricks with anyone who thirsts for them.